Noel’s journey to becoming a pilates practitioner and certified instructor started after she had back surgery for scoliosis. She quickly experienced firsthand the benefits of this practice including pain relief, building strength and stamina, as well as correcting imbalances in the body. 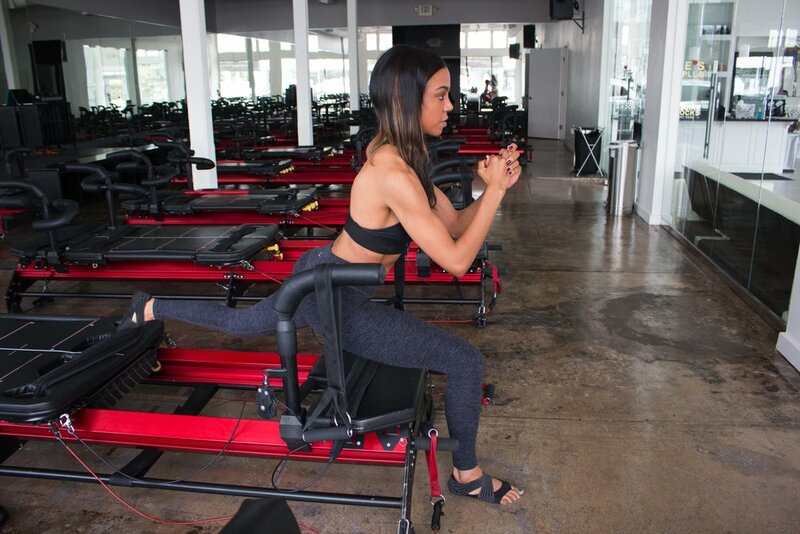 Her focus during class is to help clients find a mind-body connection, do the exercises in a safe and effective manner, and achieve maximum results. As someone who has dealt with physical limitations, Noel never wants clients to feel intimidated or incapable. Her hope is that each person comes to class ready to be challenged and willing to push through his or her mental and physical limits. Attitude and effort are everything! Noel’s background in dance and sports as well as her love for running also influence her teaching style. Her classes will encourage and challenge you to give your best and feel accomplished afterward. Her creativity with programming is noticeable as every class she writes is a unique blend of HIIT training + slow-resistance training + pilates. Noel is certified in the Carrie’s method as well as rehabilitative pilates.